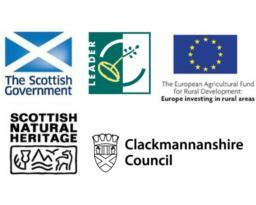 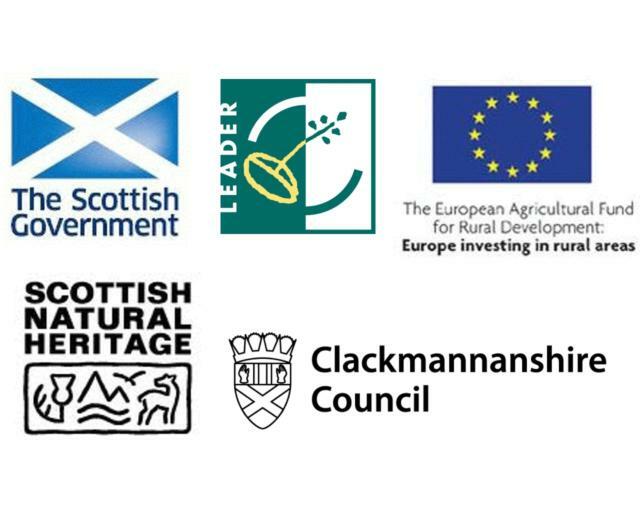 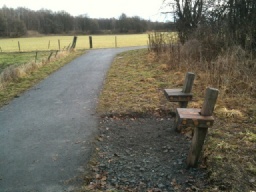 The trail starts by the playground at the end of Main Street in Cambus and runs through attractive farmland with views to the River Forth. 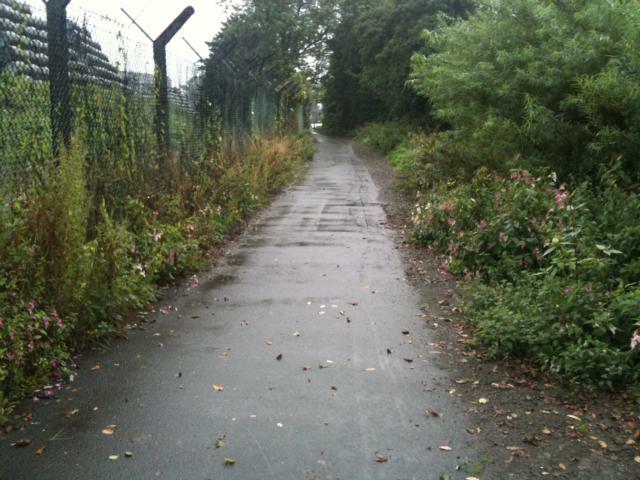 Street parking is available nearby.The path is tarmacked and level throughout and wide enough for two people to walk side by side with plenty of space of cyclists to pass safely.There are 2 perches about halfway along the route and it is about 3Km to the end and back. 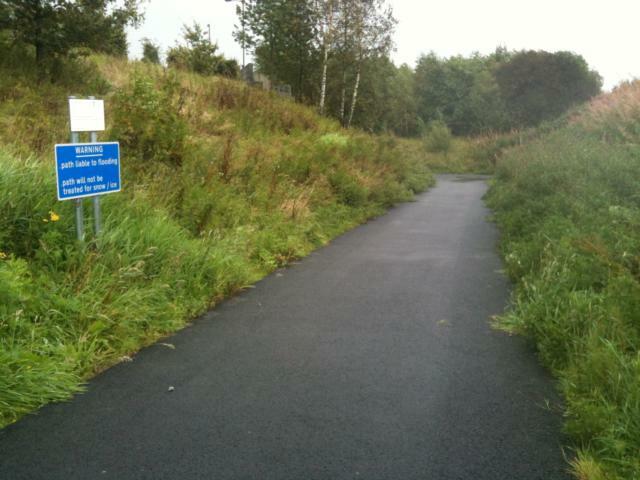 The start of the Cambus Cycleway is off the cycleway to Stirling that follows the old Stirling road about 120m west of the Dumyat Park Roundabout. 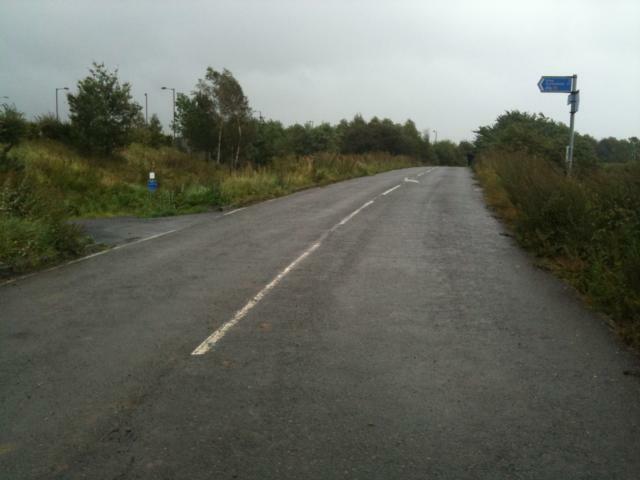 A sign on the old Stirling road points to the ramp leading to the trail. 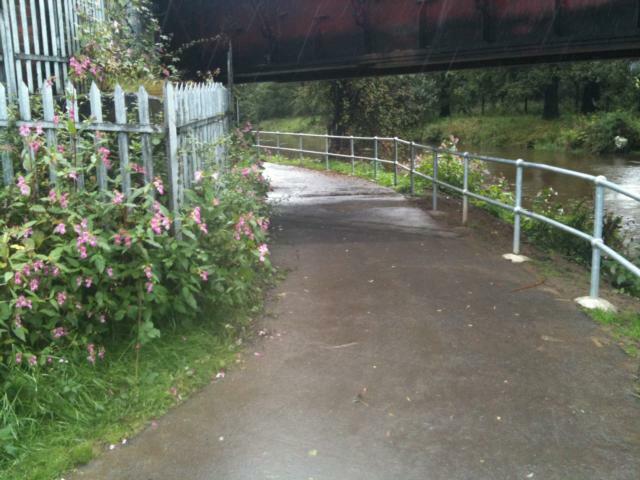 The ramp has a gradient of about 8% (1 in 12) for 50m. 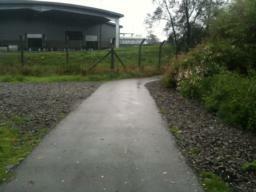 Follow the tarmacked path to the right. 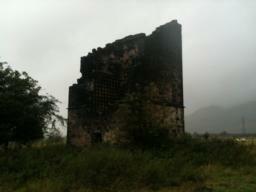 There is an old dovecote close to the trail and its pigeon holes can be clearly seen. 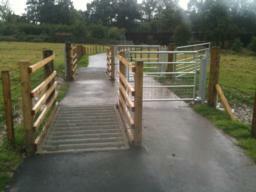 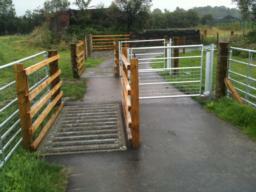 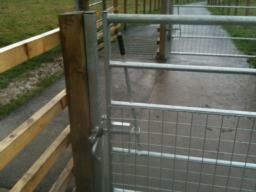 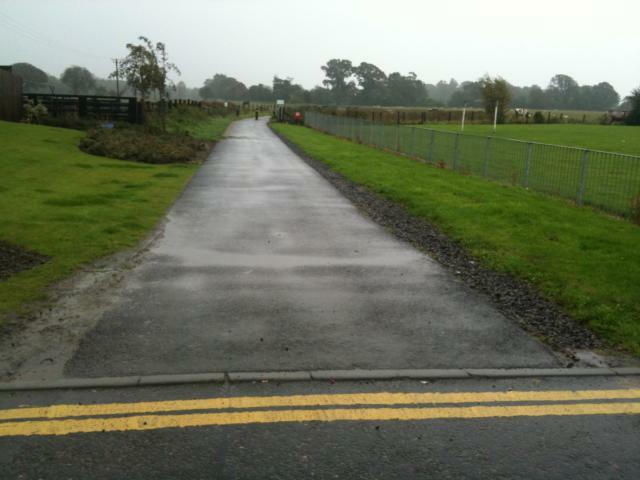 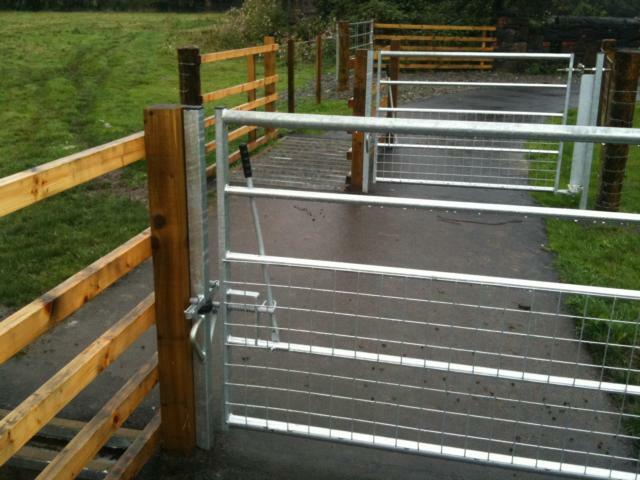 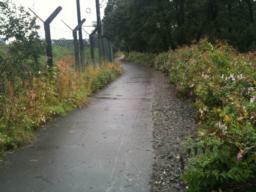 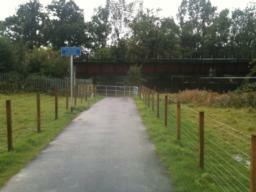 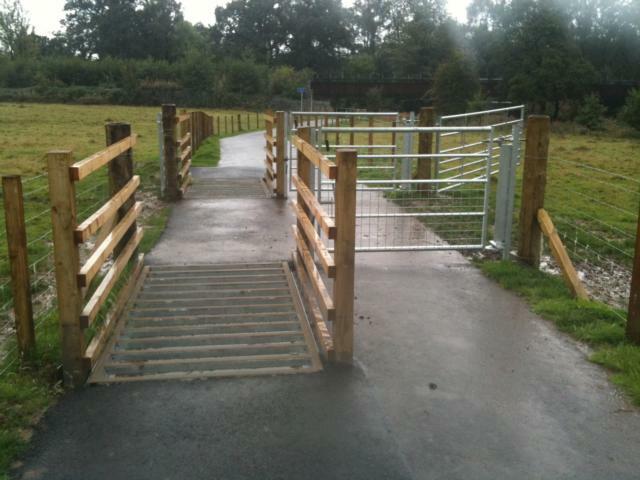 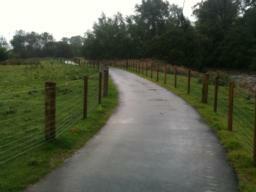 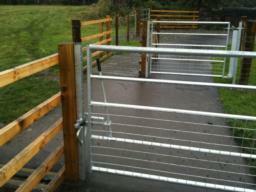 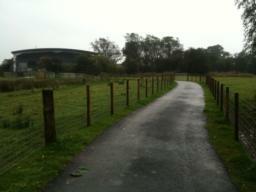 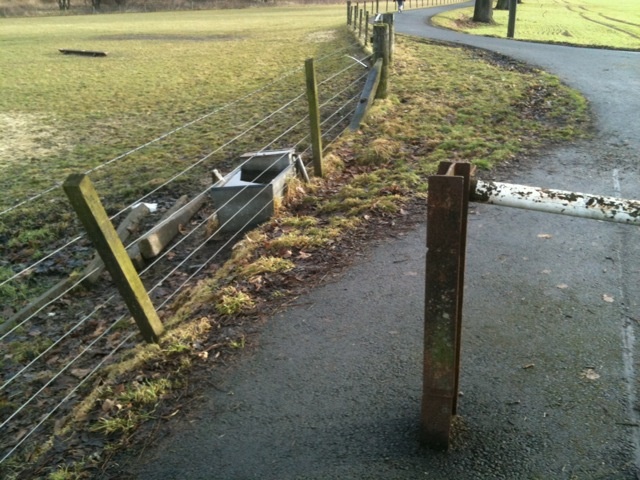 There are cattle grids and gates to allow animals to move between the fields on either side of the path. 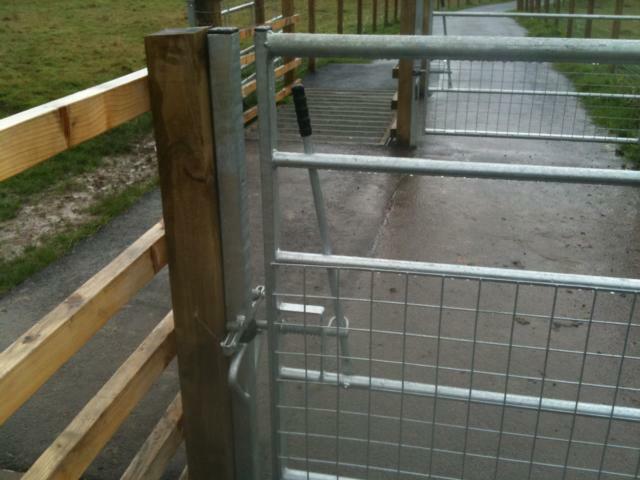 The gates open both ways and have easy to use latches. The walk starts by the playground at the end of Main Street in Cambus. 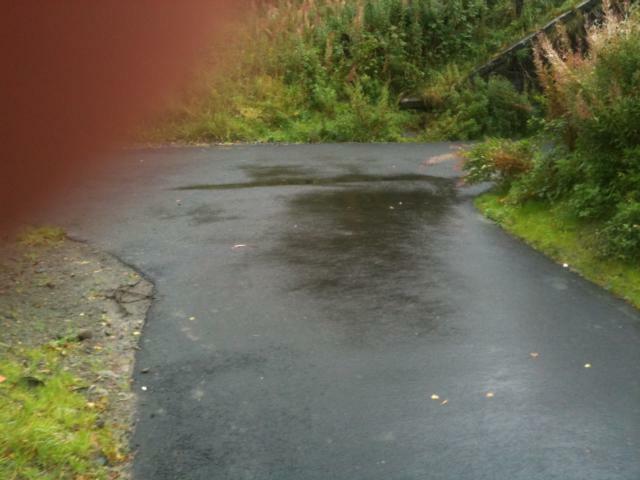 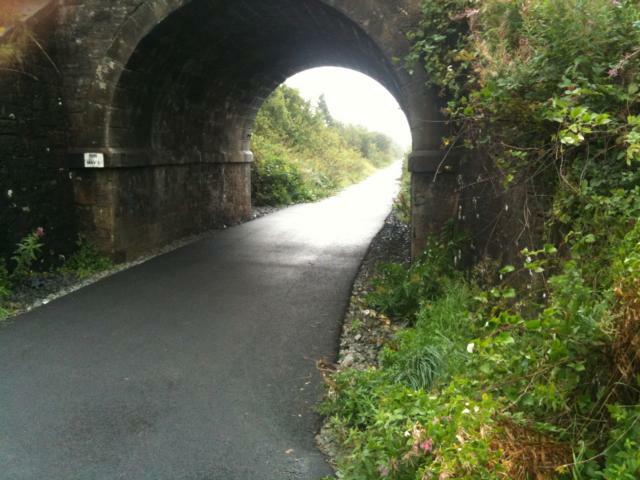 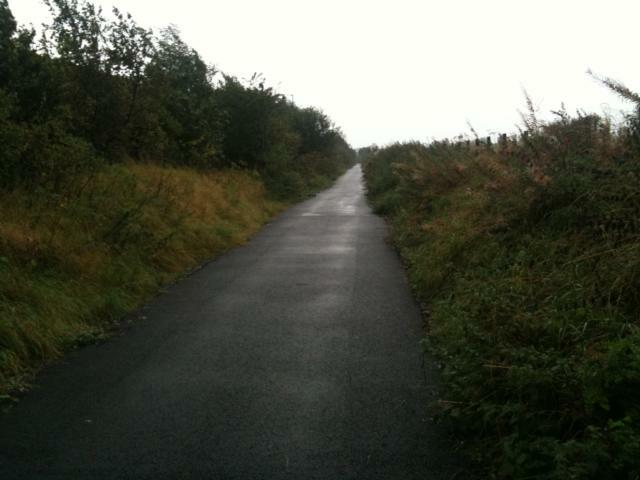 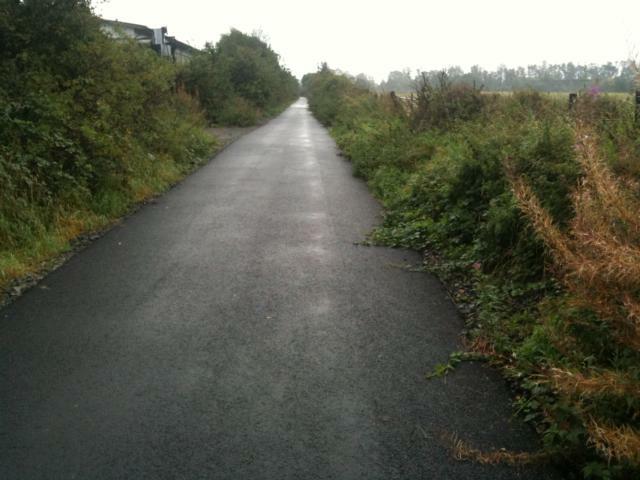 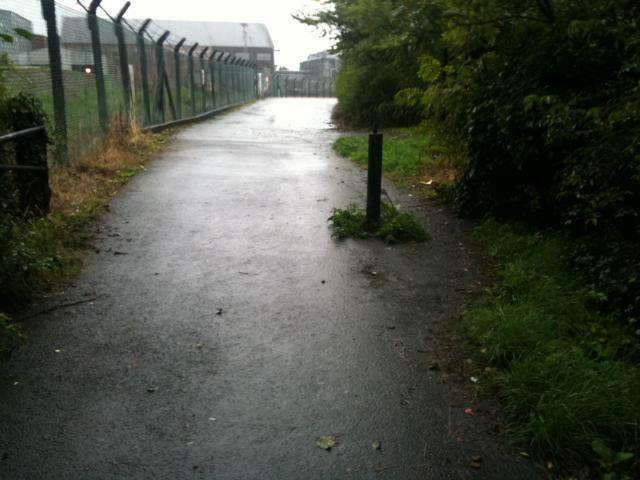 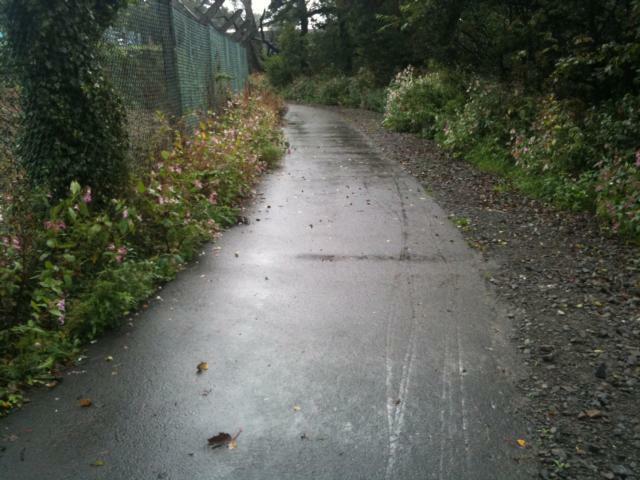 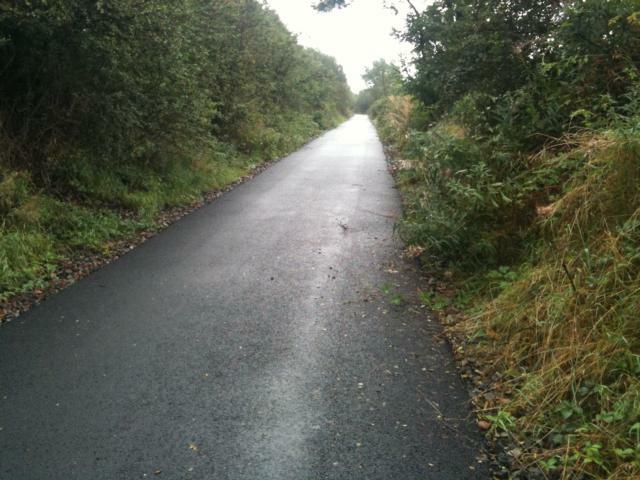 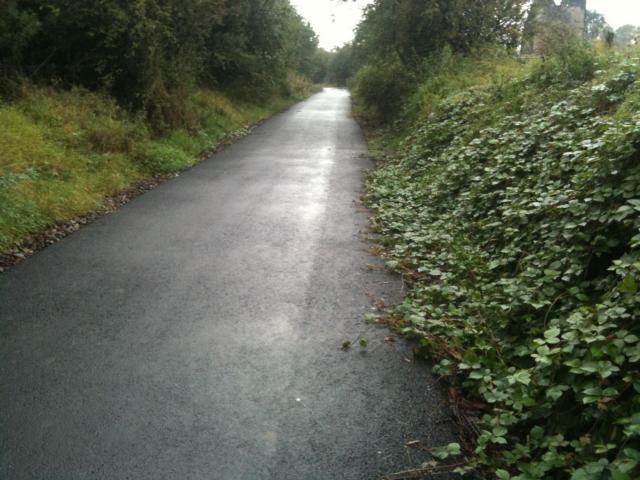 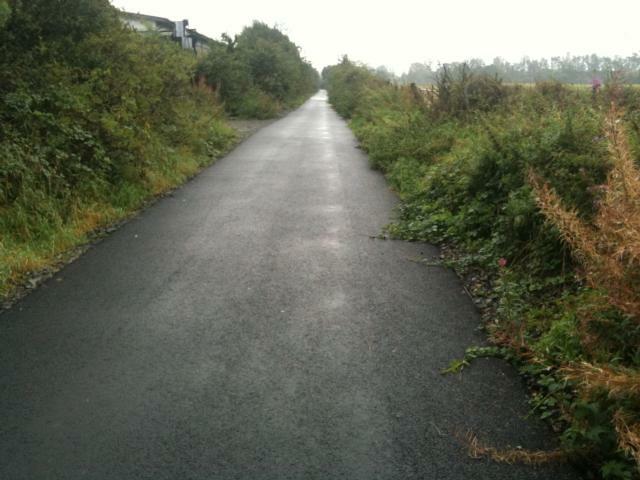 The path has a tarmac surface throughout and is wide enough for two people to walk side by side with plenty of space for cyclists to pass safely. The path is level throughout. There are two perches just before the track turns right. They are set off the path on a gravel base. 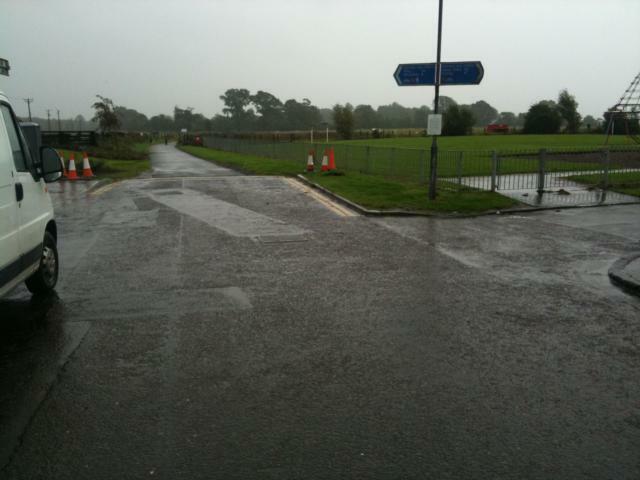 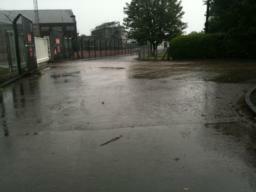 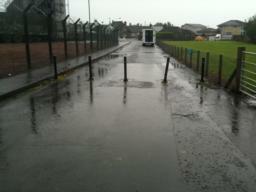 There is a barrier across the road which is open most of the time. 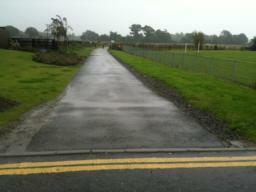 There is a gap to the side 800mm wide. 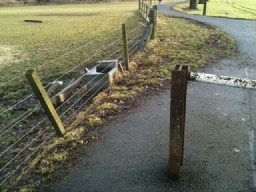 The barrier may be closed at times. There is a gap to the side measuring about 800mm wide. There is a cross slope at the gap. 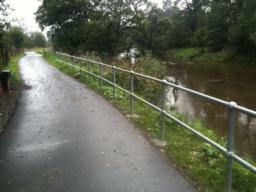 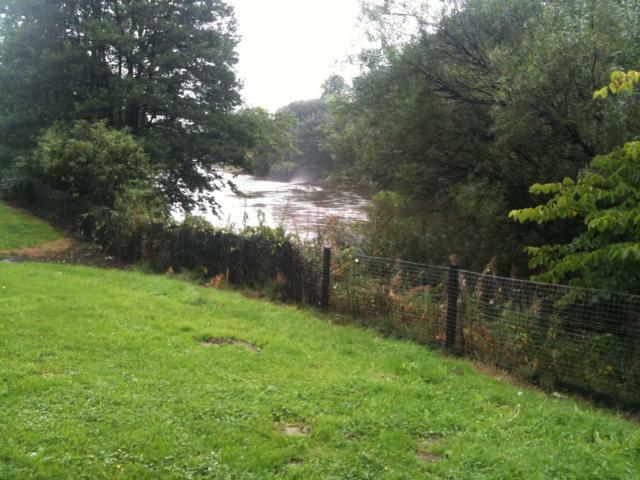 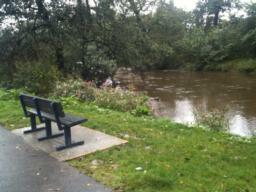 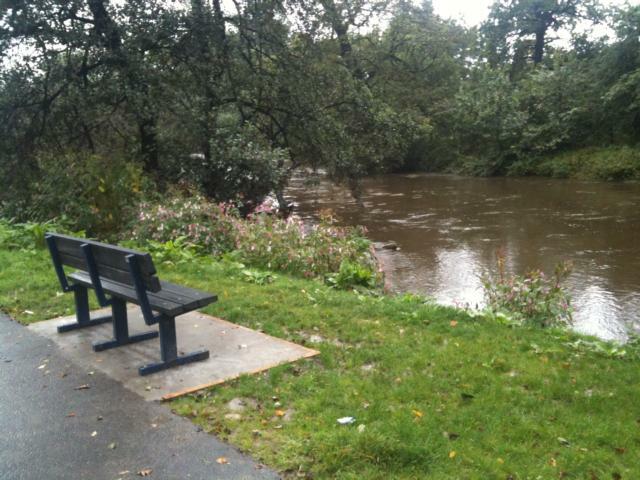 The end of the trail is at Alloa West Business Park. 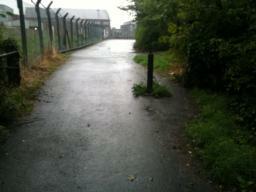 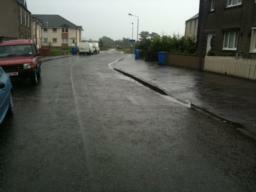 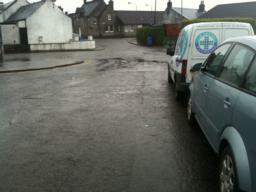 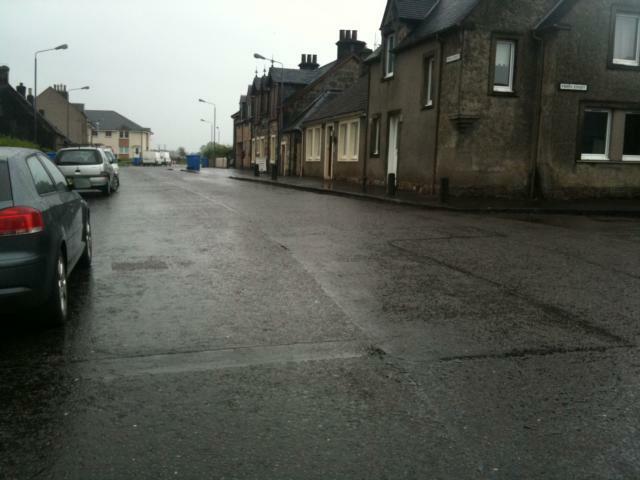 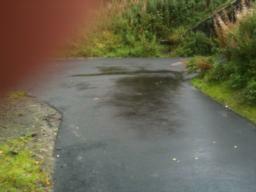 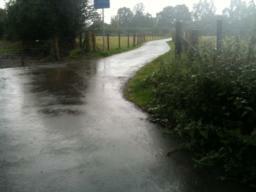 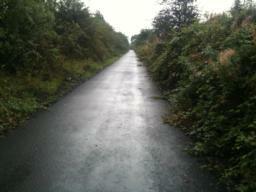 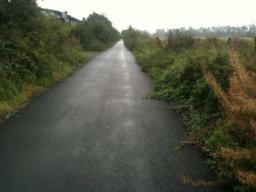 The road and pavement ahead lead to Smithfield Loan about 200m away.